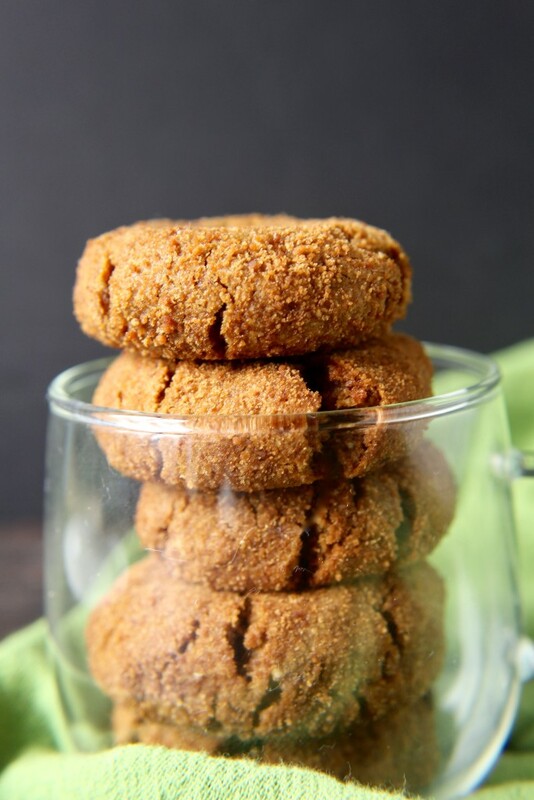 These Paleo Gingersnaps are soft, chewy, full of flavor and easy to make! Gluten free, dairy free, and so delicious! Because they are paleo, that makes them dairy-free, gluten-free, and refined sugar free. You will not miss any of those items though, I promise! The coconut oil keeps them moist, the coconut sugar keeps them sweet, and the molasses and ginger give them that slight spice. They are so easy to make and mix up in one bowl in just minutes. They are small, but that means you can enjoy a few. I tried making them bigger but the texture was better with the small ones so I stuck with that. I think they are so cute and just the right size for a small treat. They are also perfect for kids!